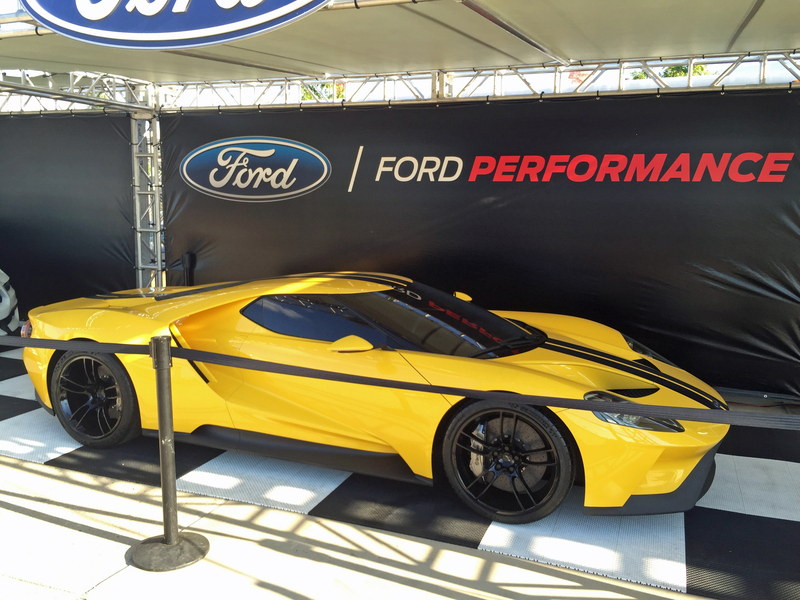 In September 2016 the Ford GT Forum hosted the 11th annual Ford GT Owners Rally in Austin, Texas. Austin is one of my favorite towns, so having a really good excuse to go there was fine with me. Austin is also home to one of America’s better track facilities, the Circuit of the Americas (also known as COTA), which made it a great excuse to bring my car. Sadly, I wasn’t able to coordinate getting my car shipped in time and had to fly instead. 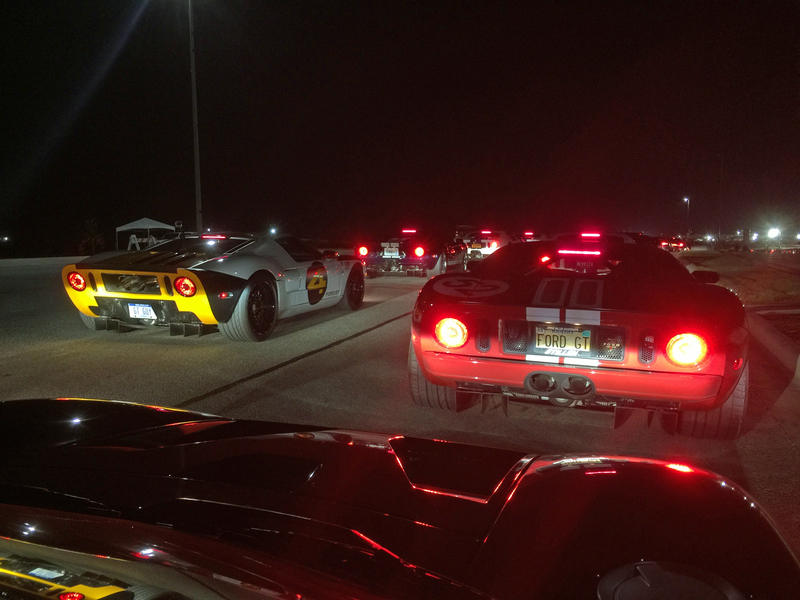 However, the turnout was strong, with over 70 Ford GTs showing up to storm the Texas Hill Country and the excellent COTA facility. 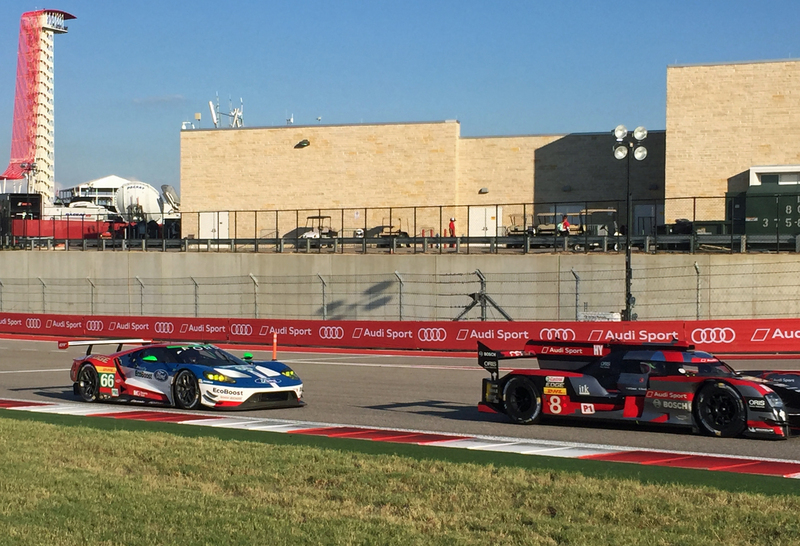 The owners rally was over an IMSA race weekend, which meant we got to watch the new Ford GTs battle in the GTLM class. This was the race car’s first year, and first year teething problems kept both teams off the podium at that event. But with Ford GT production still months away it was exciting just watching (and hearing) the new race cars chase after Porsches, BMWs and Corvettes. Ron Savenor (Rocketman on the Forum) was smart enough to score a powered track cart, which let us ride around the course and watch the GT fly by from different angles. The owners rally had a suite at COTA, and after the race there was a visit from the new Ford GT’s prime architect, Raj Nair. 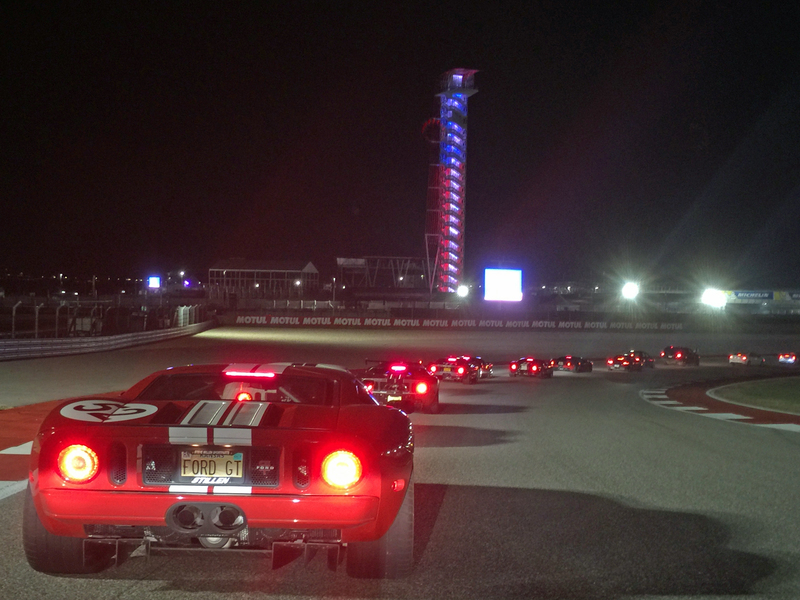 The Ford GT owners were also allowed to do a parade lap around the track, which looked pretty cool in the evening Austin air. It was also a reminder of why you should always bring your Ford GT to a Ford GT Owners Rally. Previous Post:How Could I Sell My 2005 Ford GT?? ?